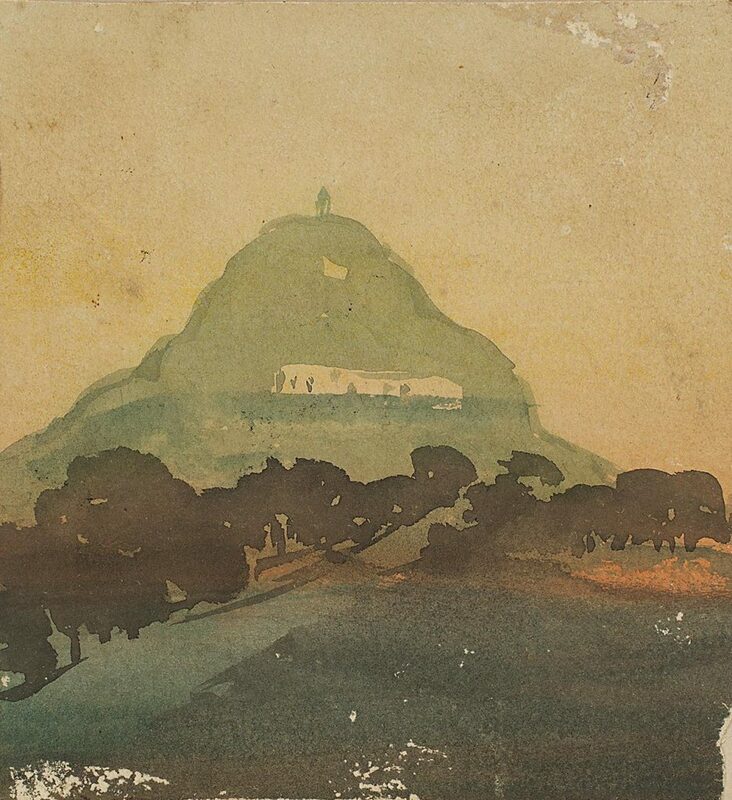 A self-taught artist, Gaganendranath Tagore, Abanindranath’s brother, was one of the first modern painters of India, learning Japanese brushwork from Kakuzo Okakura and other visiting Japanese artists. 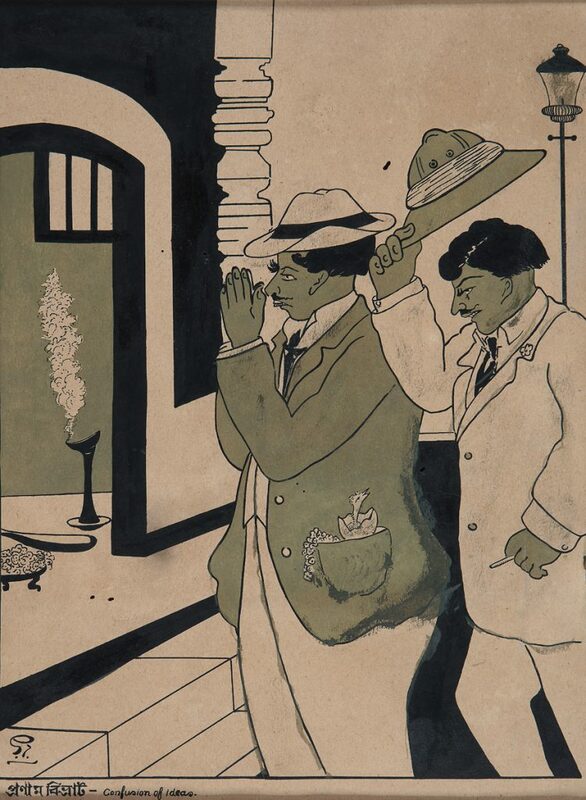 Beginning to paint rather late in life at the age of thirty-eight, he played an important role in the establishment of the Indian Society of Oriental Art, Calcutta, in 1907. 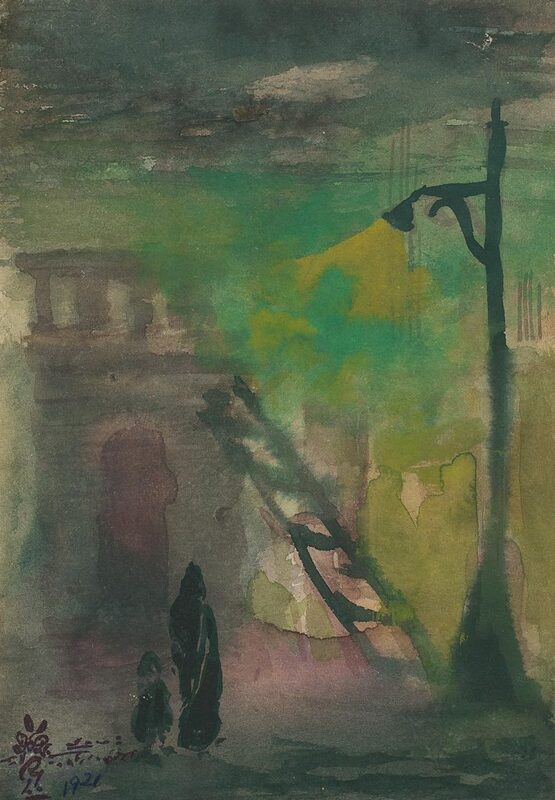 In his early artistic life, he painted Puri landscapes, portraits and other figurative sketches, scenes from Calcutta and illustrations for Rabindranath Tagore’s Jeevansmriti, consisting of his own early works SibuKirtania and Crows. In 1914, six of his works were sent to London and then to the Pavilion Marson exhibition in Paris. 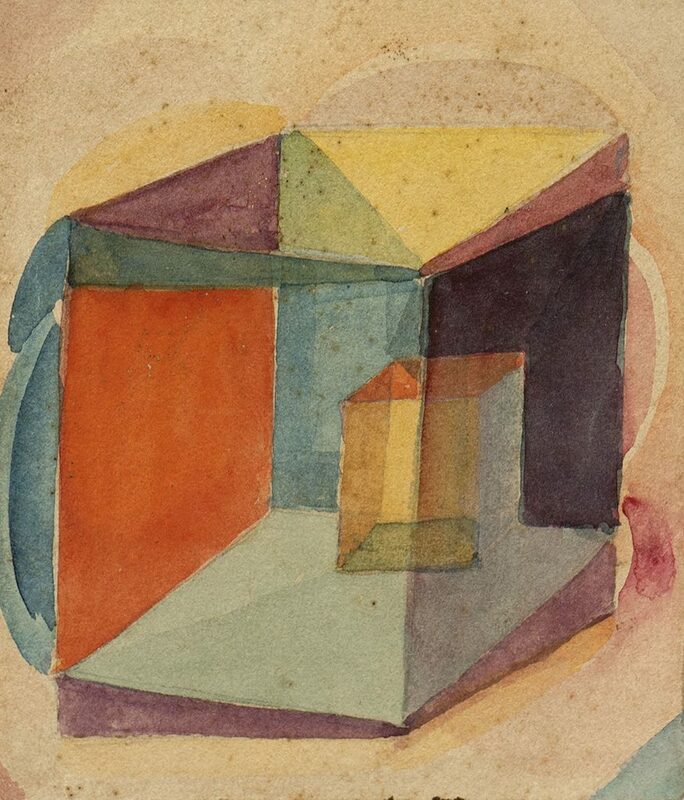 It was after this that he introduced cubism in his works. He is known for the portfolio of cartoons Birupa Bajra, a merciless satire of contemporary Bengal society, and the witty caricatures of Adbhut Lok, published as Realm of the Absurd. The 1923 exhibition of his works in Berlin and Hamburg received praise from German critics for his modernistic outlook, expressionist tendencies and dynamic presentation of space. 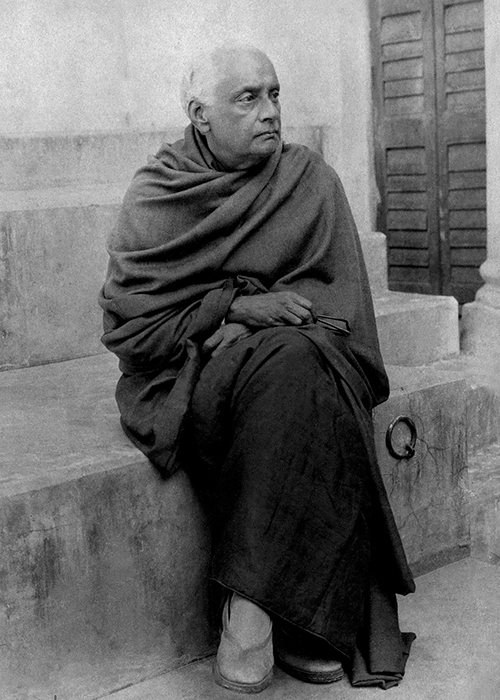 Tagore’s images are neither abstract nor archaic, he used form as a medium to communicate and emphasised the structural quality in his works through semi-abstraction.